Lao Jiu is one of Kuo Pao Kun’s most popular and accessible works. 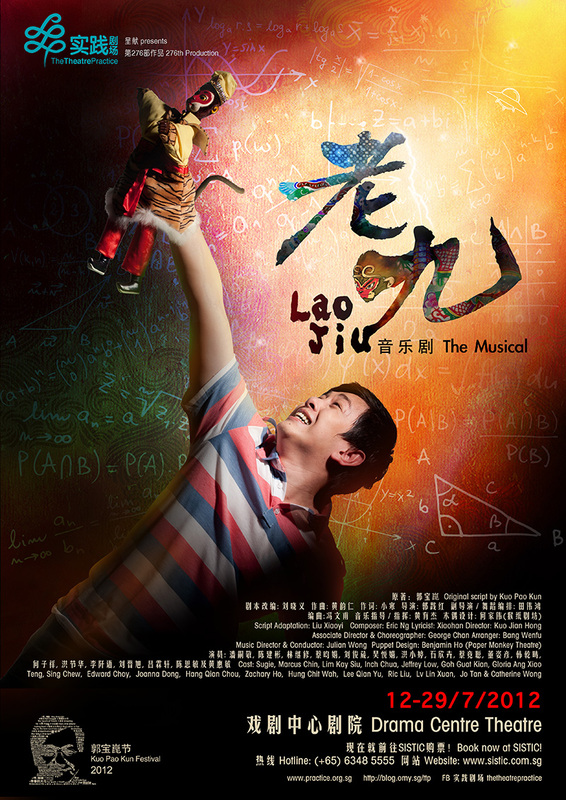 In 2005, Lao Jiu was adapted into a dazzling musical for the first time, and in 2012 was restaged as an entirely new creative production featuring an exciting new lineup of performers and creative collaborators! As the only son in the family, Lao Jiu (the ninth born) realises that he should grasp the prestigious scholarship opportunity that has opened up for him; yet, he hesitates at the critical junction of attaining the academic prize. Where his passion lies instead is in mastering the traditional art of puppetry. Will Lao Jiu persist in pursuing his dream, or will he continue upon the well-trodden scholarly path? Caught in between what his heart dictates and what his family desires, what decision will he make?